Perfect for all foundations, from mineral powders to liquid body makeup – this brush is perfect for travel and was inspired from directing makeup runways where there is never enough time to apply and blend foundations. Designed to be used with a circular ‘buffing’ motion, it polishes any foundation, from mineral, powdered, light water-based, and even thick cream formulations (including moisturizers), into the skin. The hair type has been specifically chosen not to absorb the product in order to minimize the wastage you see with some other bristle brushes. I am always on the hunt for the perfect foundation brush and this one from RM does not disappoint. It’s beautifully soft but dense enough not to soak up too much product. The handle is the perfect size and shape to fit into the palm of the hand allowing the brush head to be swept easily over the face. I achieved a perfect finish in less than a few swirls. It’s on the pricey side for sure, but it’s lovely and I’d definitely recommend it. 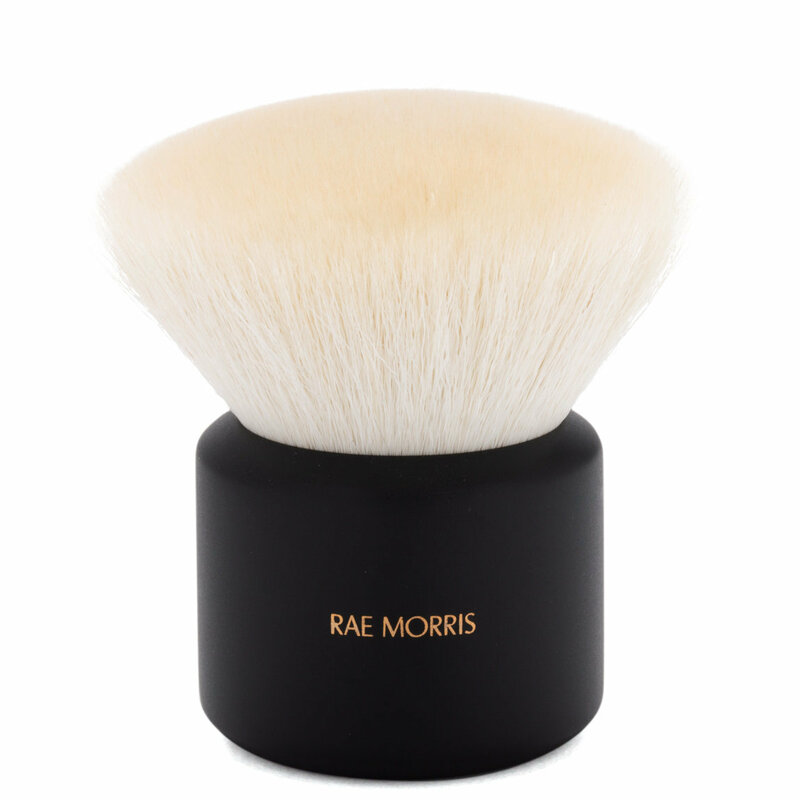 This is my third Rae Morris brush and I love them all. This brush is so soft and so easy to handle. Also easy to travel with. I would definitely recommend this brush. No shedding and it is just the right size.